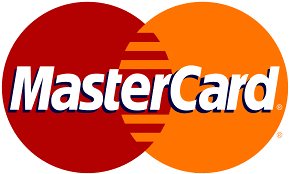 Mastercard, a leading technology company in the global payments industry, has introduced 'Relaunch your Career', a comprehensive return-to-work programme, which targets women who have been away from the workplace for one year or more and are keen to return to work on a permanent basis. The programme is designed to enable highly-experienced women with work experience at a mid-management level to re-enter the workplace after time away and builds on Mastercard's flexible working culture and its commitment to ensuring gender diversity in the workplace. Scott Tierney, Vice President of Human Resources, MEA, in Mastercard, said, "The 'Relaunch your Career' programme is a key diversity initiative for Mastercard, we want to help women get their on-hold career back on track by providing them with an opportunity to take up a challenging and rewarding role, while giving them the support they need to succeed." The 'Relaunch your Career' participants will be given responsibility for a commercially-focused project from the start of a 12-week placement. To immerse them into the organisation and ensure they are fully familiarised with their role, they will receive support in the form of tools and learning resources, on-the-job training, and a buddy to bring them up to speed quickly. At the end of the 12 weeks, they can also apply for a permanent role with Mastercard," added Tierney. Women seeking to enroll in the 'Relaunch your Career' programme must have previous experience at mid-career level ideally gained in technology, financial services, e-commerce, and professional services organisations.